Online and digital learning continue to expand within the field of higher education, with more than 6,000,000 students now enrolled in online courses. The Online Learning Consortium (OLC) fosters and supports educators, leaders, online learning professionals, and organizations around the world who are shaping the future of higher education. 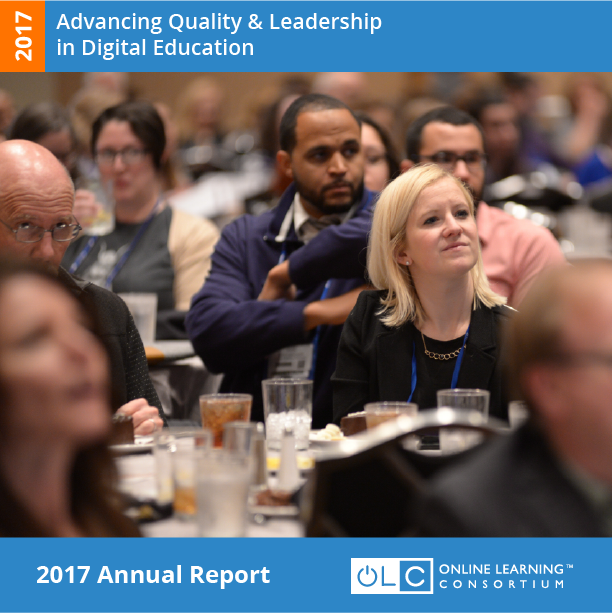 OLC is the premium organization dedicated to establishing and ensuring quality standards in online and digital learning. Our conferences bring together educators, administrators, instructional designers and various digital learning professionals to learn, network, and share their experiences in transforming the eLearning field. Learn more in our 2017 Year in Review.